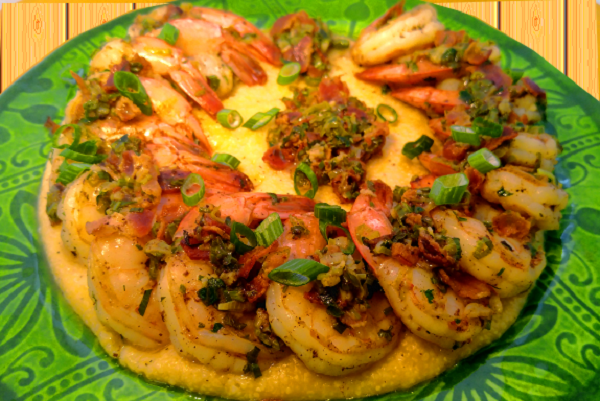 Flavor packed shrimp, bacon, green onions and garlic with cheesy, stone ground grits. Classic comfort food found on the white tablecloth of bistros and cafes throughout the south. Perfect for Sunday brunch or even dinner. 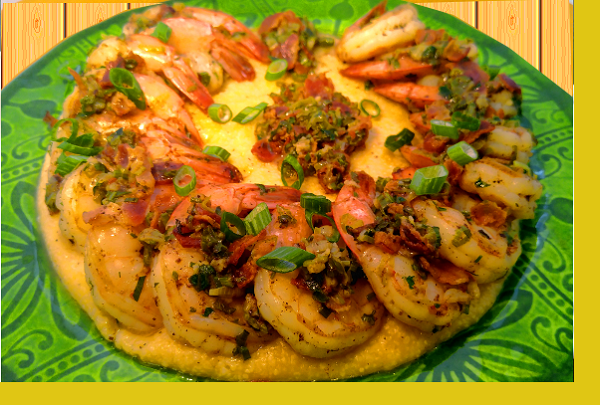 Grits: Bring 2 cups of water to a boil for every 2 servings of this entree. Add salt, pepper & grits. Boil about 5 mins stirring until thickened / water absorbed. Remove from heat and stir in butter and cheese. Shrimp: Coat a pan with vegetable oil. Heat medium heat. Saute shrimp 2-3 mins. per side until pink. Add herb packet. Saute 2-3 more mins. Mix in bacon then serve over grits.